Care2 Healthy Living | What Does It Take to Change Your Diet for the Better? What Does It Take to Change Your Diet for the Better? In the 1940s and ’50s, the American Medical Association was not only saying that “smoking in moderation” wasn’t a problem, but that, on balance, it may even be beneficial. After all, most physicians themselves smoked, so how bad could it be? With such a position taken by one of the country’s leading medical groups, where could you turn if you just wanted the facts? According to one tobacco company ad, “science advances new data that may completely change your idea of cigarettes!” And what might those new data tell us? “She was too tired for fun…and then she smoked a Camel.” (You can see the unbelievable ads in Evidence-Based Eating, starting at 0:29). In another ad, baseball legend Babe Ruth us, “Now! Medical science offers proof positive!” that the brand he was hawking is the safest to smoke of all the leading cigarettes—well, he told us, that is, when he still could talk, before he died of throat cancer. Had a SmokingFacts.org website existed during the time of these outrageous ads making such outrageous claims—a site that delivered the science directly to the people, bypassing commercially corruptible institutional filters—it would have featured a study of Seventh-day Adventists in California in 1958 that showed that nonsmokers may have at least 90 percent less lung cancer than smokers. With so much money and personal habit at stake, there will always be “dissenters.” Given the seriousness of these diseases and the sum total of evidence, though, we shouldn’t wait to put preventive measures in place. If you’re a smoker in the 1950s in the know and privy to the science-based realities of smoking, you realize the best available balance of evidence suggests your smoking habit is probably not good for you. So, what do you do? Do you change your smoking habits, or do you wait? If you wait until your physician tells you—between puffs—to quit, you could have cancer by then. If you wait until the powers that officially recognize it, like the Surgeon General did in the subsequent decade, you could be dead by then. It took more than 7,000 studies and the deaths of countless smokers before the first Surgeon General report against smoking was finally released in the 1960s. Wouldn’t you think that after the first 6,000 studies or so, they could have given people a heads up? One wonders how many people are suffering needlessly right now from dietary diseases. So, instead of someone going along with America’s smoking habits in the 1950s, imagine you or someone you know is going along with America’s eating habits today. With access to the science, you realize the best available balance of evidence suggests your eating habits are probably not good for you. So, what do you do? Do you change your eating habits, or do you wait? 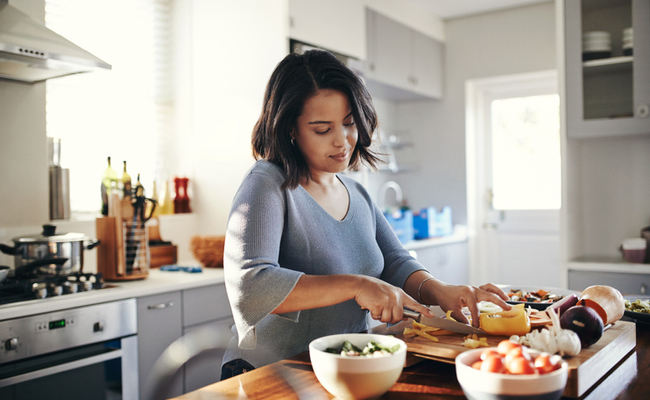 If you wait until your doctor tells you—between bites—to change your diet, it could be too late. Just like most doctors smoked back then and didn’t tell their patients to change, despite the overwhelming evidence published for decades, most doctors today continue to eat foods that are contributing to our epidemics of dietary disease. Organic food is much more expensive.